Equipment on display will include their new ZZB Sanitary Rotary Valve and Electronic Pressure Compensation (EPC) unit with a live demonstration. Also on display will be a Sanitary Filter Receiver, ZRD Hygienic Rotary Valve, a fully automatic clean-in-place WYK-CIP Sanitary Diverter valve and a Smart Weigh Belt Feeder. Additionally, the booth will include an overview of the ITL 250/500 packaging machine – a highly automated form-fill-seal system that now functions even more efficiently and reliably, thanks to newly engineered details. The Electronic Pressure Compensation (EPC) system is designed for high-accuracy Coperion K-Tron loss-in-weight feeders. 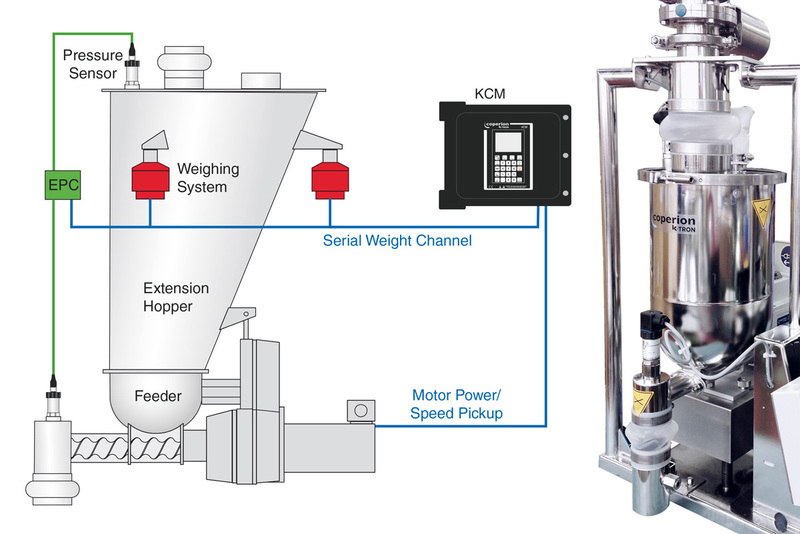 Coperion K-Tron has developed a clever but simple electronic solution for accurate and steady pressure compensation in feeder hoppers. The modular design incorporates pressure sensors and electronics tailored to interact smoothly with Coperion K-Tron’s KCM feeder control system. Retrofitting options for existing feeders are available. EPC can be installed on a majority of Coperion K-Tron gravimetric feeders in almost any application and all industries. The booth will display a new compact stainless steel rotary valve ZZB which was developed for small capacities and high sanitary needs. The interior and exterior polished surfaces prevent undesired product deposits. With the standard extraction device, the rotor can be easily removed from the housing. Easy to open tri-clamp flange connections at both inlet and outlet simplify installation and maintenance. The ZZB is available in two sizes: 80 mm [3 in] and 100 mm [4 in] (inlet and outlet) and is suitable for use in hazardous areas. The Sanitary Filter Receiver (SFR) provides automatic separation of product material from the convey air for vacuum and pressure conveying in sanitary applications, for batch and continuous processes. The SFR is specifically designed for stringent food applications requiring quick clean-out and to reduce food contaminants and/or the cross contamination of allergens. The unit is easily cleanable with round corners and no hidden areas. 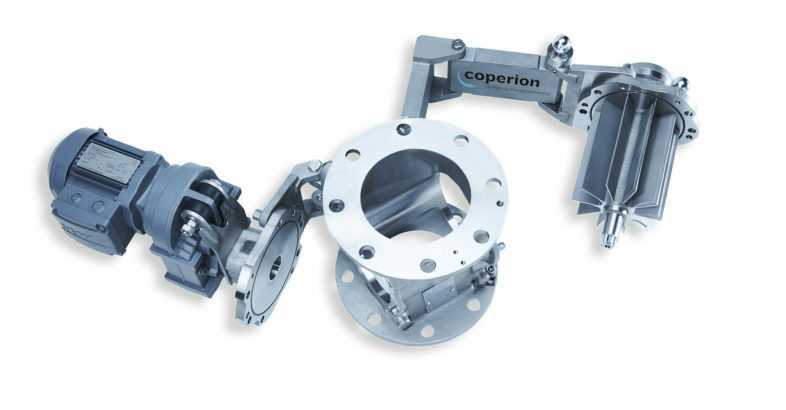 Coperion rotary and diverter valves for conveying and discharging foodstuffs satisfy very high demands with regard to hygiene and reliability. Coperion’ s ZRD sanitary rotary valves have been approved by the United States Department of Agriculture (USDA) following certification in compliance with the USDA Dairy Grading Branch. Already designed in accordance with the engineering and design guidelines of the EHEDG (European Hygienic Engineering & Design Group), these sanitary rotary valves also meet the current, strict requirements governing application in the USA. The valves can be used in the food, pharmaceuticals and chemical industries for applications demanding even the highest degree of hygiene and cleanliness. In addition, they are distinguished by their extreme reliability in operation. As these rotary valves can be readily inspected and also cleaned quickly and thoroughly, they are ideal for applications involving frequent changeovers from one product to another and/or for the processing of products with adhesive tendencies. Parameters such as particle size, cohesion and adhesion influence the flow properties of bulk materials and therefore the correct design and layout of bulk material handling components. The ZRD Hygienic Rotary Valve offers an extra-large inlet for high throughputs and is suitable for pneumatic conveying up at up to 1.5 bar (g) [21 psi] and temperatures up to 100°C [212°F]. The sanitary versions of the ZRD rotary valves are used in pneumatic conveying systems and for the discharge of powdered and granular materials. The certified versions of the ZRD series of rotary valves are equipped with the innovative and service-proven FXS (Full Access System), which enables easy withdrawal of the rotor, as both end plates can be swung out through an angle of more than 90°, making the interior of the rotary valve fully accessible. The withdrawn rotor can then be readily detached from the end plate. 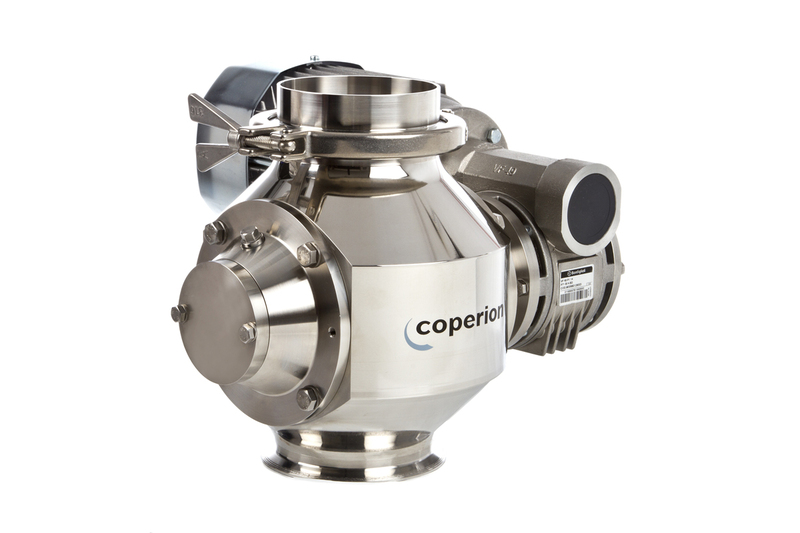 Another valve on display will be the Coperion WYK-CIP Diverter Valve which is ideal for inline material handling of hygienic and difficult to handle powders, such as whey powder, lactose, dried milk powders and infant formula. This valve can be used in pneumatic conveying systems, in order to divert transfer of the powder to different locations. The fully automatic CIP (Clean-In-Place) design permits complete purging of all product residues after the automatic cleaning process. Due to a unique retractable rotor assembly, the rotor can be pulled slightly out of the housing towards the rear of the valve, thus allowing the cleaning solution to rinse all product contact surfaces within the valve. The WYK-CIP has a true sanitary and wet cleanable design that is EHEDG certified for fully automatic and residue-free CIP without dismantling and without manual cleaning. Coperion K-Tron’s Smart Weigh Belt (SWB) feeder offers optional continuous online auto tare by using two Smart Force Transducer III digital weigh modules. Automatic and continuous online taring of the belt reduces costly maintenance, line shutdowns and laborious manual calibration and improves long term accuracy. The FFS Packaging Machine ITL 250 with automated features provides accurate weighing, ideal dosing and hygienic packaging for crystalline, granular, beaded or flaked goods. The FFS Packaging Machine ITL 250 with automated features provides accurate weighing, ideal dosing and hygienic packaging for crystalline, granular, beaded or flaked goods. The new conical shape of the loading hopper assures less dead zones and better cleanability. 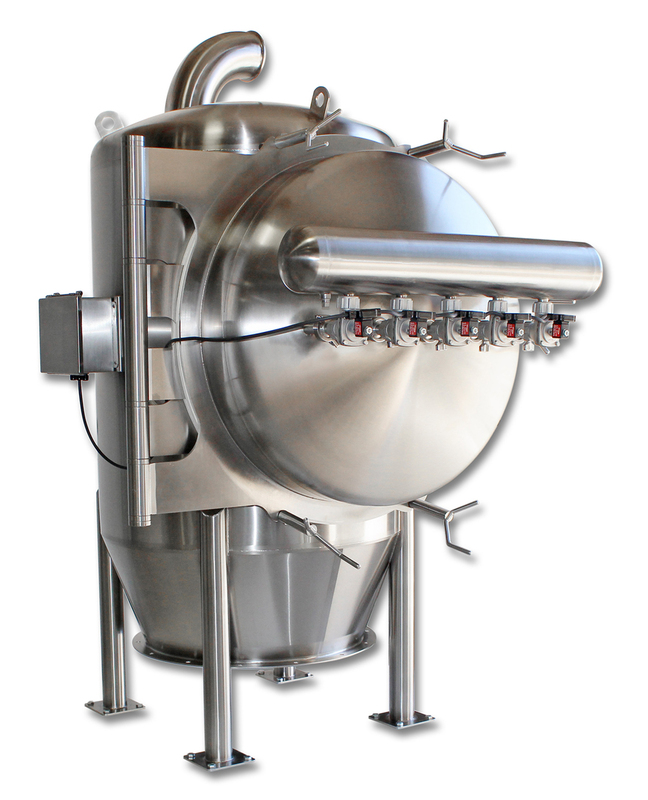 Faster and more accurate dosing can be achieved by the new, servo-actuated gravity feeder. Furthermore, the machine will be equipped with a vacuum pump, which results in better vacuum flow for moisture sensitive products and improved bag shaping. Additional design improvements including a new body frame with motorized reel unwinder ensure more efficient and reliable operation. Coperion is the international market and technology leader in compounding systems, feeding technology, bulk materials handling systems and services. designs, develops, manufactures and maintains systems, machines and components for the plastics, chemicals, pharmaceutical, food and minerals industries. 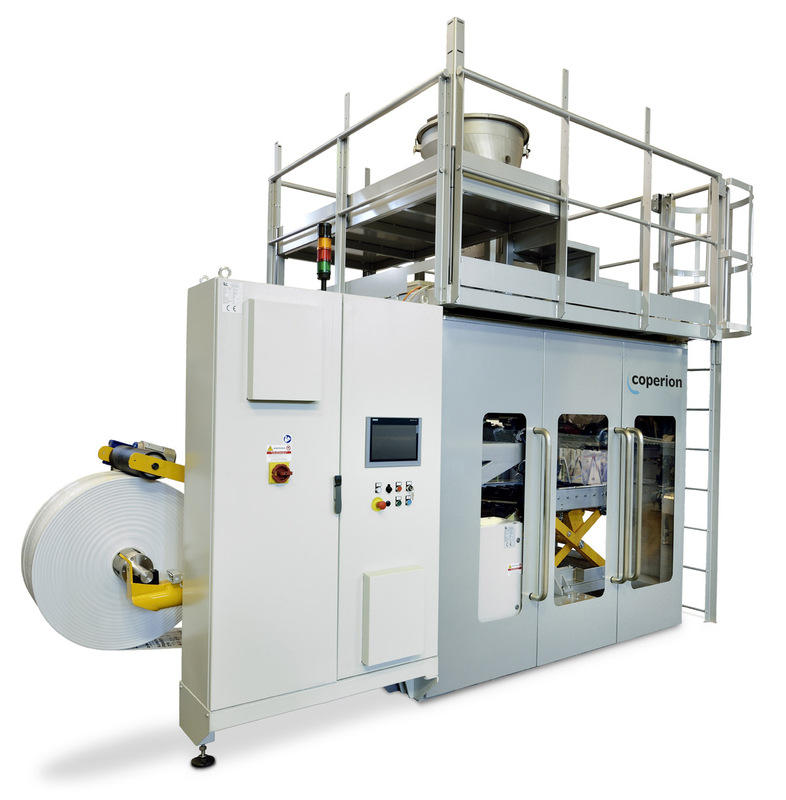 Within its four divisions – Compounding & Extrusion, Equipment & Systems, Materials Handling and Service – Coperion has 2,500 employees and nearly 40 sales and service companies worldwide. Coperion K-Tron is a Business Unit of Coperion and is a global leader and single source supplier of material handling and feeding systems. 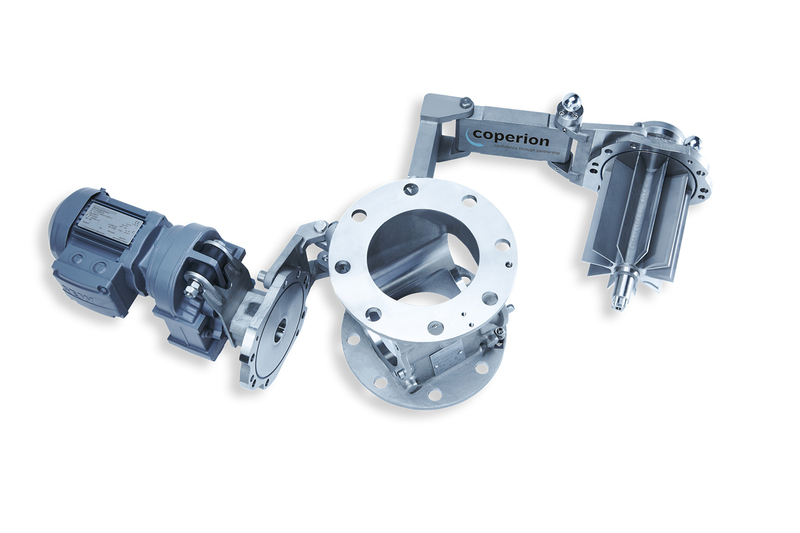 Coperion K-Tron has defined the leading edge of technology for material handling and feeding applications in the process industries.